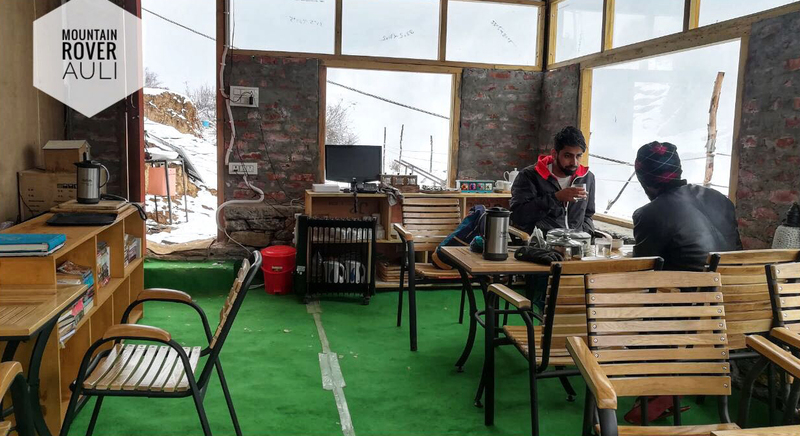 "Stay Surrounded By Himalayan Peaks"
Mountain Rover – A Brand New Ski & Nature Retreat in Auli Himalayas. Perched on a ridge, with astonishing 180 degree view of snow-capped Himalayan peaks. Experience the grandeur of Nanda Devi, Barmal, Hathi , Neelkant, Kamet and other peaks, up close and personal! Max 2 kids below 10 years will be allowed in one room with parents at extra charge of Rs. 900 per kid, per night for stay and meals (breakfast and dinner). Max3 adults will be allowed in one room. Extra charge for 1 adult will be Rs. 1800 per night for stay and meals (breakfast and dinner). Extra bed (max 1 in each room) will be charged Rs. 1000 per night. Extra blanket will be charged Rs. 250 per piece, per night. Extra pillow will be charged Rs. 50 per piece, per night. Hot water bag will be charged Rs. 50 per piece, per night. Mineral water Rs.40 per bottle (1 ltr). Snacks, beverages and other meals ordered, at actuals as per menu card . Excursions, Activities and Sightseeing will be charged as per details and schedules. Laundry service (chargeable and takes atleast 24 hrs). Yoga mats available upon request, free of cost. Other Hotel bookings at actuals. The rates quoted are for per room, per night basis. A copy of government issued id proof is required at the time of check-in. Rooms are tentatively blocked for upto 3 days from the receipt of your e-mail/booking request. 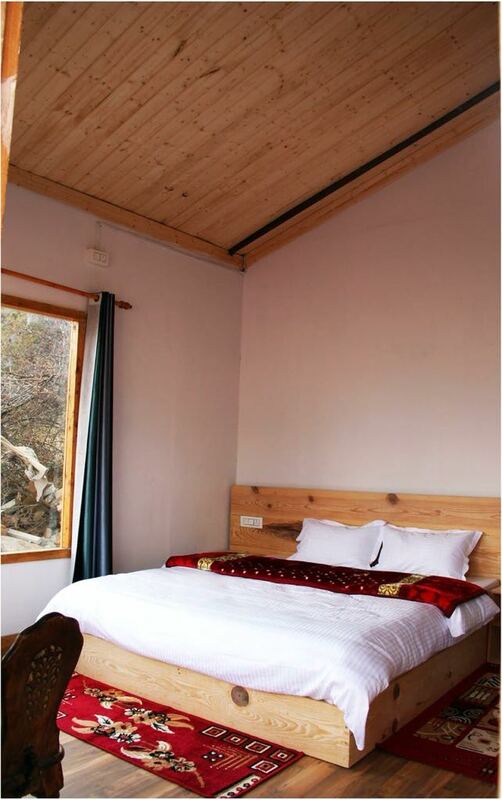 The bookings are confirmed only after full payment of tariff in advance for entire duration of stay. Each room can accommodate upto 2 adults and 2 kids (below 10 years) OR maximum 3 adults. Extra charges apply . Kitchen operates only during regular meal times 6.00 am to 9.30 pm. Generator back-up is at scheduled timings only. Free Wi-Fi and 4G mobile network is available for Vodafone, Idea, BSNL and Airtel. Open parking at owners’ risk. Within 10 days of check-in date – No Refund. Skiing package in Auli, Ski course in Auli, Snowboarding course in Auli, Ski Holiday in Auli If you are looking for the best ski slopes in India, come to Auli. With impressive 3 km long ski slopes ranging from 2519m to 3050m, Auli offers enthralling skiing opportunities to beginner and advance skier alike. © 2018 Mountain Rover. All rights reserved.